Visiting Lynmar Estate is like unlocking a secret garden door that leads to the heart of the Russian River Valley wine culture. Our Wine & Food experiences are thoughtfully crafted with our signature attention to detail, offering you a complete sensory immersion in the estate. A quintessential Lynmar experience, the Estate Flight showcases our Russian River Valley and Sonoma Coast wines. You are invited to enjoy our scenic estate and historic vineyards while tasting through four wines presented by our expert hospitality staff. Add items from our Provisions Menu to enhance your experience. Allow 60 minutes for this experience. Offered Wednesday-Monday 10 am, 11:30 am, 1:30 pm, and 3 p.m.
$40 per person | Max group size: 4. Please call for groups of 5 or more. 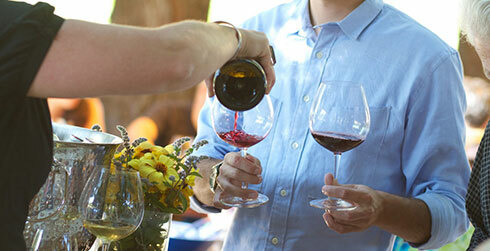 Up to two Estate Flight tasting fees waived with every purchase of a case of wine. For those ready to immerse themselves, our Collector’s Flight includes an in-depth, privately hosted tasting of six wines. Purely wine-focused, this flight explores the subtleties of our Proprietary, Pinnacle and Vineyard Designate collections, including the influence of clonal diversity within our estate vineyards. A complimentary tour can be added to your Collector’s Flight by advance request. Allow 90 minutes for this experience. Up to two Collector's Flight tasting fees waived with every purchase of 2 cases of wine. Our members are invited to join us on the private members-only Veranda to explore a selection of our Russian River Valley and Sonoma Coast wines. Add items from our Provisions Menu, walk our exquisite gardens and remember why you are a Lynmar Advocate. Additional guests: $20 | Max group size: 4. Allow two hours for this experience. Offered Thursday-Sunday (April 4 – November 3). Please call 707.829.3374 x102 for reservations. From May to September, we invite you to join us for the classic Russian River Valley pairing of “Pinot & Pizza”. Under the shade of the towering trees in our Redwood Grove, we’ll serve seasonally inspired artisan pizzas featuring estate-grown vegetables prepared in our brick pizza oven, paired with an array of Lynmar wines. 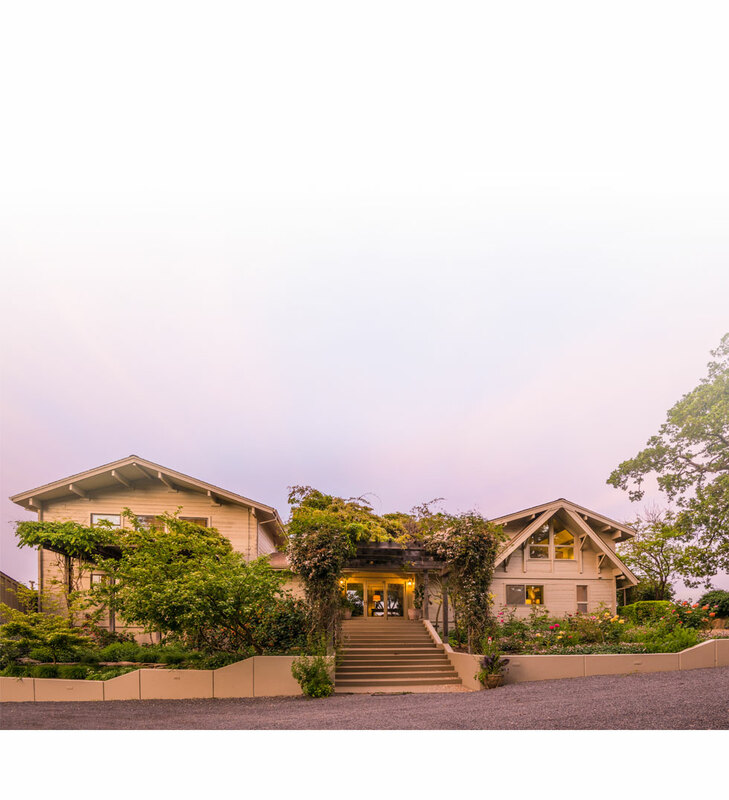 Our hospitality team is made up of passionate wine experts who are eager to share the story and bounty of Lynmar Estate. They will guide your tasting with details about blocks, clones and food pairings. Directions Only one hour north of San Francisco. Drive north on US 101. Take the CA-116 WEST EXIT outside of Cotati. Continue on 116 for approximately 12 miles through Sebastopol. Turn right onto Frei Road. Take CA-12 West to Sebastopol. Drive south on US 101 to Guerneville Road. Turn left on Frei Road. Drive east on Hwy 12, or Bodega Bay Hwy, to Sebastopol. 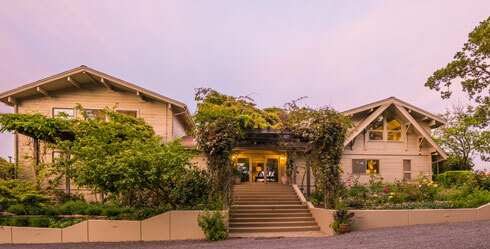 Lynmar Estate Advocates Club members have the exclusive opportunity to stay in the guest house located on the estate and surrounded by 360° views of the vineyards, organic vegetable gardens and wildflowers. The Bliss House is the perfect wine-country retreat, showcasing spectacular views of the Laguna de Santa Rosa. This gracious 3-bedroom, 3.5-bath home is perfect for a romantic getaway or a base from which to explore wine country. $1,500 for Lynmar List members. $1,200 for Advocates Club members. $975 for 5 Year Advocates Club members. $750 for 10 Year Advocates Club members. Please call 707.829.3374 x102, or e-mail reserve@lynmarestate.com for reservations.